I can still remember the exhilaration I felt walking into a place that was filled with all of my favorite things under one roof. For many people, Toys R Us has always been a place of pure joy. It was filled with bright colors, cheerful logos, and thrilling sounds. So when I heard the news that this retail giant that had once brought so much happiness to children all over the world is closing its doors forever, I was baffled. What could have possibly happened? Where did they go wrong? We immediately think that this must be Amazon’s fault. The mega e-commerce site has been the downfall for so many others, especially brick-and-mortar retailers. 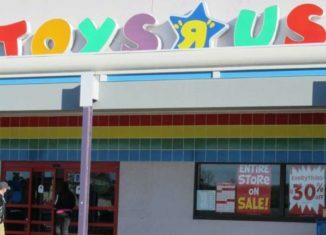 While online shopping certainly hasn’t helped matters, the Toys R Us shopping experience no longer felt new, fresh, and exciting as it once had. Instead, it felt outdated and cold, with a major lack of personalization and customer service. To compound the problem, there are other retailers, such as Walmart and Target, selling the same inventory, often at a lower price, in a more updated and pleasing environment. At least we can say that Toys R Us did not go down without a fight. In 2000, Toys R Us launched a 10-year partnership with Amazon, in which it paid $50 million per year plus a percentage of sales to be Amazon’s exclusive seller of toys. But this strategy backfired. Consumers were redirected from Toysrus.com to Amazon.com, which ultimately resulted in a lack of establishing an online presence of its own. In 2005, the company was purchased by a private equity group, but unfortunately, they could not turn things around fast enough to make a difference. In this ever-changing, fast-paced world, retailers need to constantly adapt and modify their business to consumer trends and behaviors. If they don’t, it will ultimately lead to their demise, just as it did for Toys R Us. When I think about Geoffrey the Giraffe waving his last goodbye to consumers, and the once successful 735 stores now standing empty, it feels like the end of an era. However, retailers can learn from this unfortunate outcome to stay current, be aware of change, and pay attention to consumer behaviors.